The file named DownloadStat.dll is developed by an unknown developer. The program is designed for the Windows XP operating system. However, it is a non-system process which is not mandatory for the OS to run efficiently. If found to be compromised by a malware or Trojan, remove it immediately so as to avoid any further damage. DownloadStat.dll is located in c:\windows\system32\downloadstat.dll. The latest version of the file available is 1.4.1.6. The total size of the file is not known. It has a threat level of 3. It lacks security patches and support from the original developer. The program has been safe so far based on past scan reports. How to check if your computer is infected with DownloadStat.dll malware? How to remove DownloadStat.dll malware from system using Comodo Cleaning Essentials? 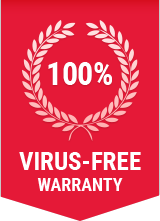 You can either choose to remove DownloadStat.dll and other malwares using Comodo Antivirus, or Comodo Cleaning Essentials (CCE) – both of which are absolutely free to download! CCE is a set of computer security tools designed to help you identify and remove malwares and unsafe processes from an infected computer.